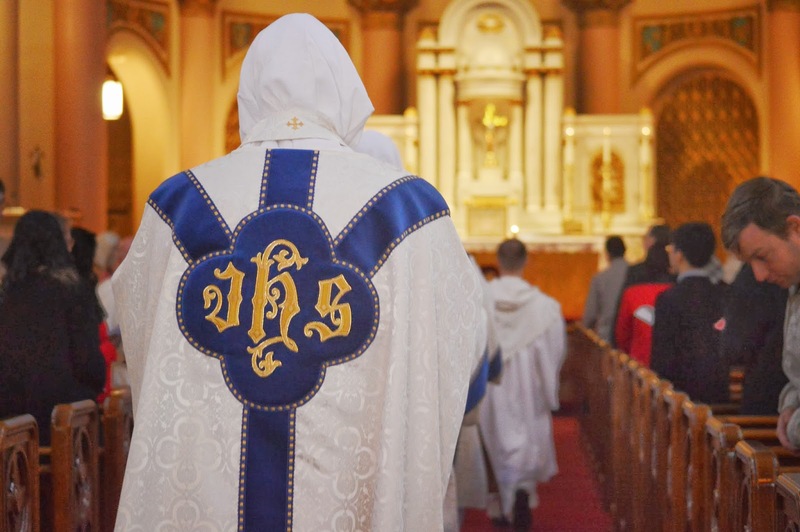 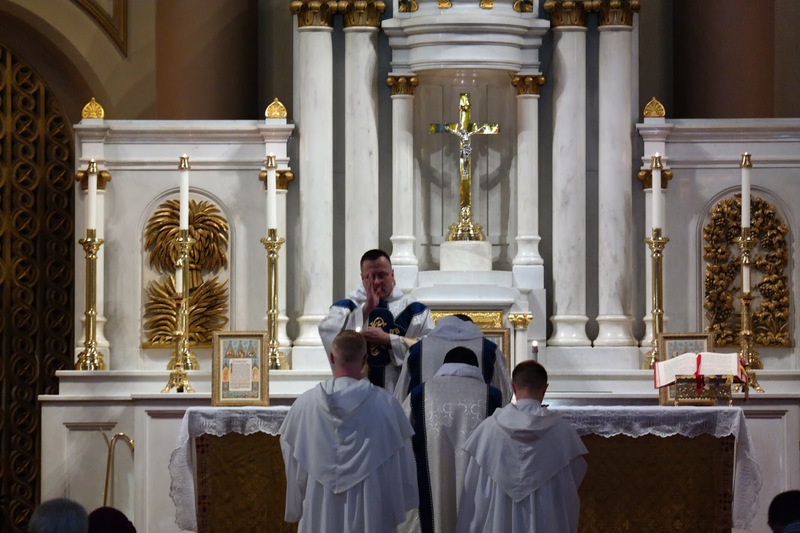 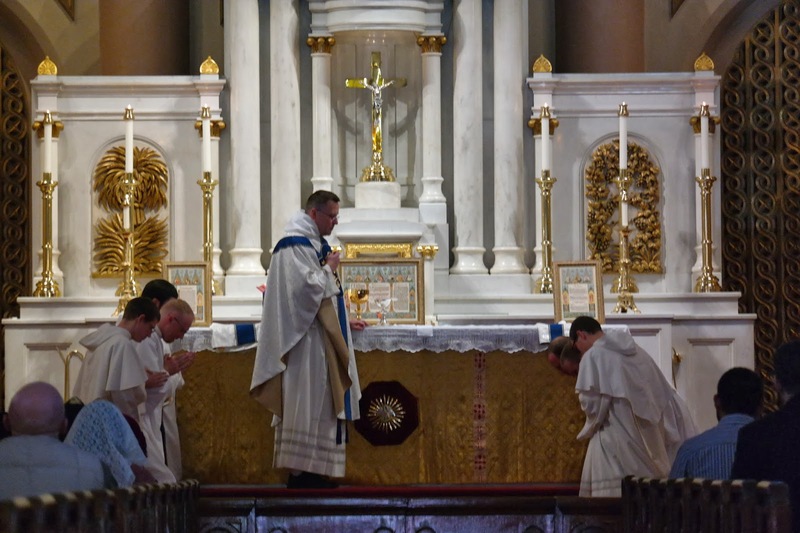 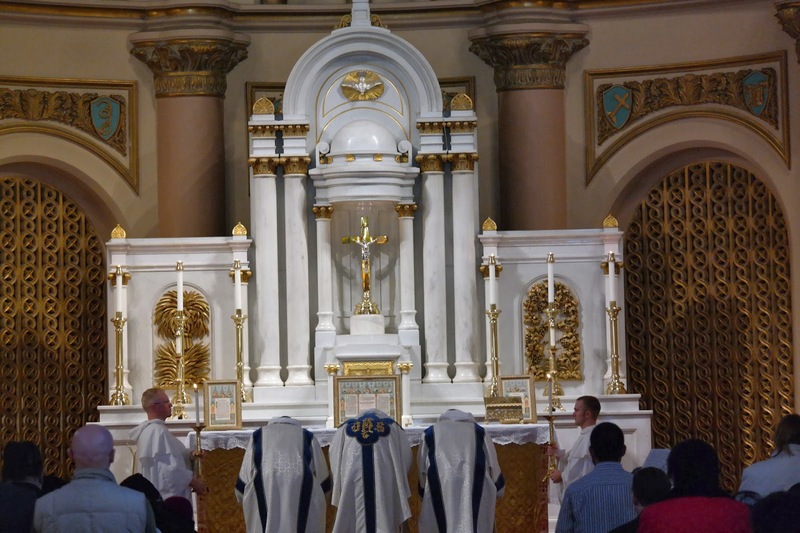 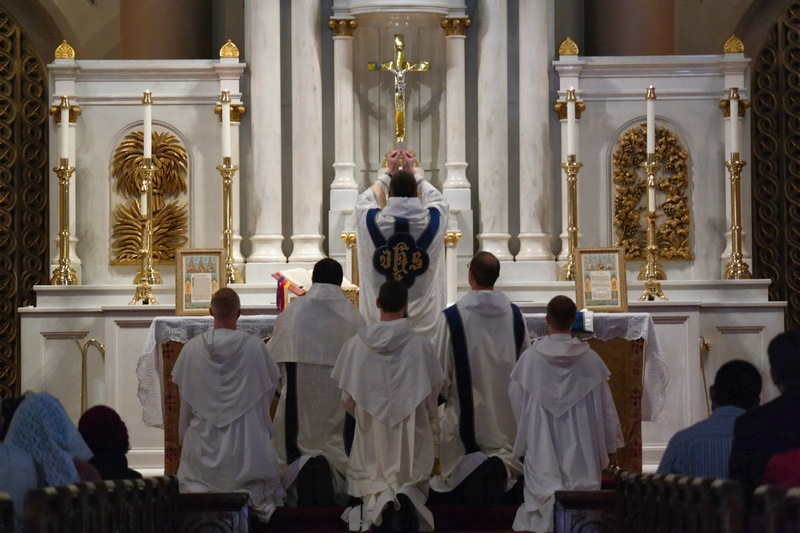 I have the pleasure of posting the following photographs of the Solemn High Dominican Rite Mass celebrated for the Solemnity of the Immaculate Conception at Our Lady Star of the Sea Church in San Francisco on December 8, 2013. 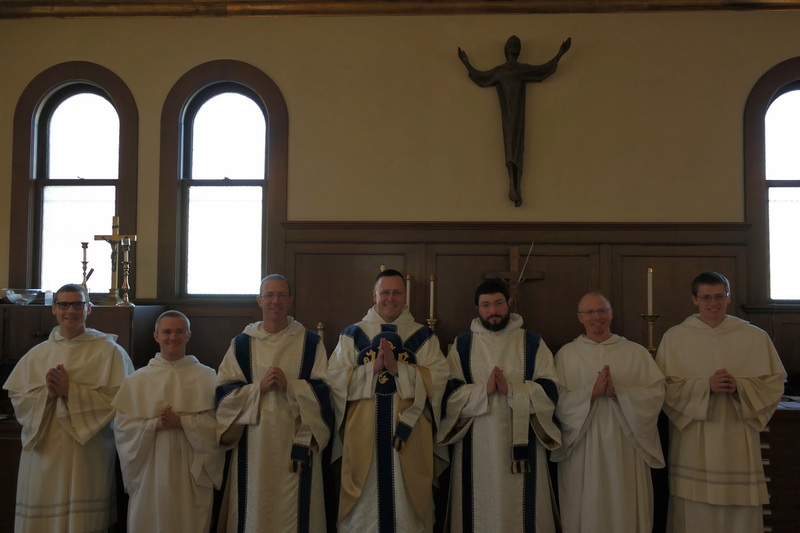 The ministers and servers were all friars of the Western Dominican Province. 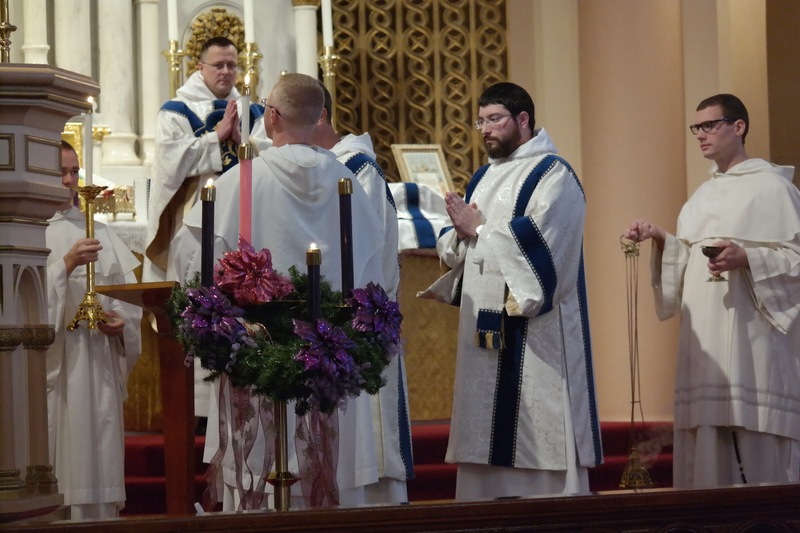 The celebrant, Fr. 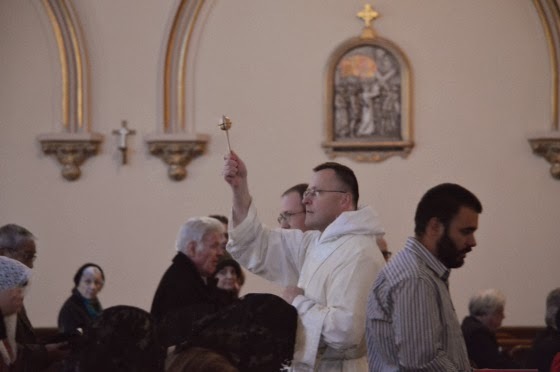 Anselm Ramelow, O.P., regularly celebrates for the the Traditional Latin Mass Society community at Star of the Sea Church.